A couple of weeks ago I went to a retreat and I posted about it here. On our return home my friend and I decided to take a backroad so that we could take some photos that might act as inspiration for future quilts. They might inspire colour combinations or perhaps techniques that we had not yet used. The pictures were taken along the road through an area called Aspen Grove. Enjoy them and perhaps they will inspire you to create some fibre art as well. 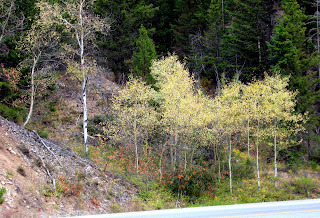 Along the road were tall stands of birch and aspen. This is just one of those groupings. 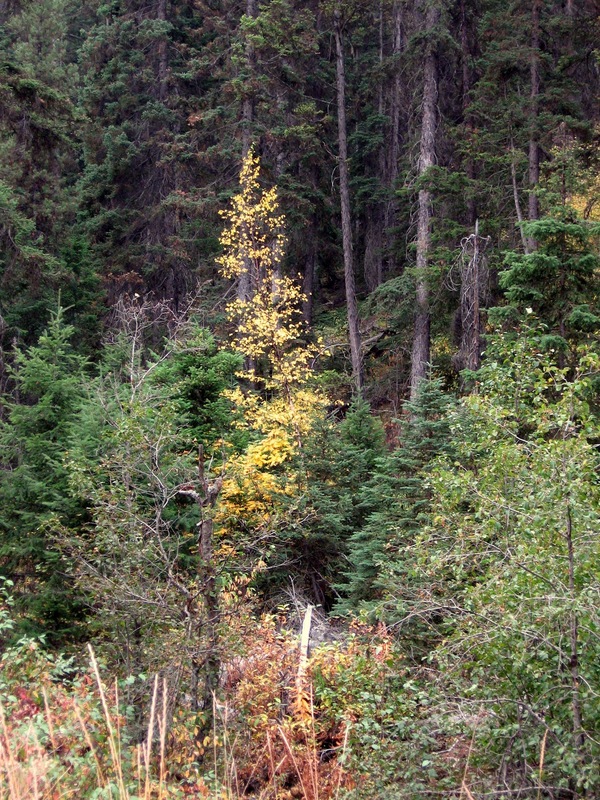 Some groupings were so feathery and yellow that they almost looked unreal. 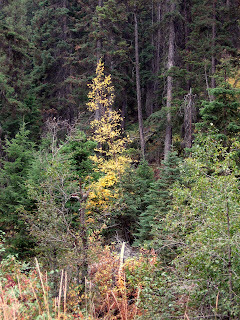 There were flashes of colour all along the route. At one point though I took a look at my feet and this is what I saw. These were no bigger than the finger nail on my baby finger. I would have overlooked these had I not looked down. These looked like little puffs of dampened cotton, also overlooked had I not looked down. There I was on my knees looking at all these little things. As I looked up I couldn't resist taking the following picture. Hope you enjoyed these. That trip taught me to remember that there is inspiration everywhere, if you just take the time to take the road less travelled and enjoy the ride. some wonderful colour and inspiration! gorgeous, brigitte, I love the one on the side of the road with all the colours next!